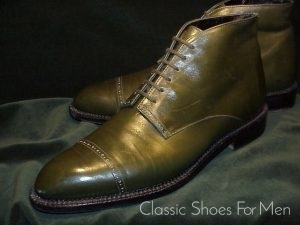 The Cap-Toe 3-Strap Field Boot was originally designed for the U.S Cavalry and Constabulary Forces. 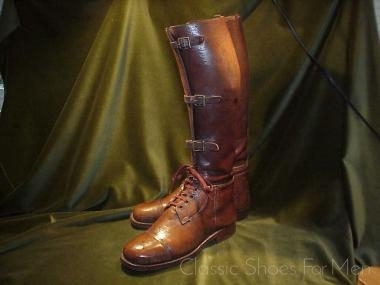 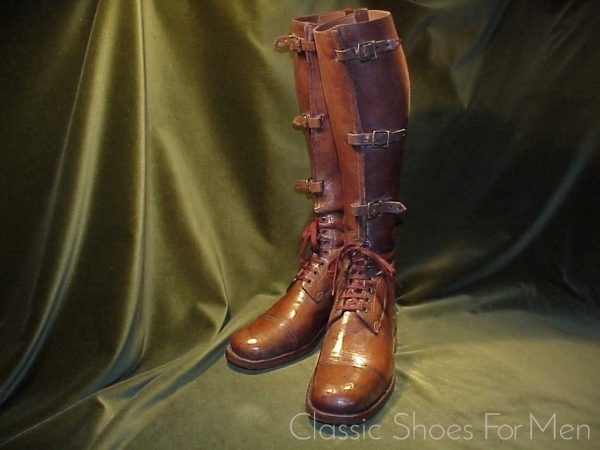 The earliest appearance of this type of boot seems to be in the late 1930s, This was not long before the horse cavalry was to be replaced by mechanized transport. The boot remained in use throughout the war and for some years after and in modern times has been adopted by the civilian rider on both sides of the Atlantic as an attractive and practical variation of the field boot. 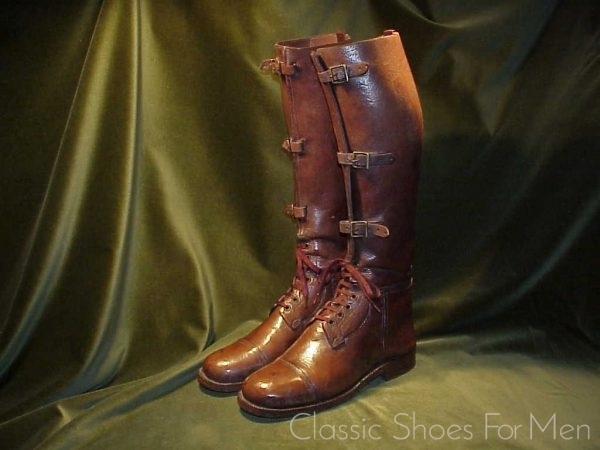 Indeed the Cavalry Boot takes the practicality of the adjustable lacing of the Field Boot one step further with a fully adjustable leg that accommodates seasonal changes in clothing and will fit a pair of jeans as well as riding breeches. 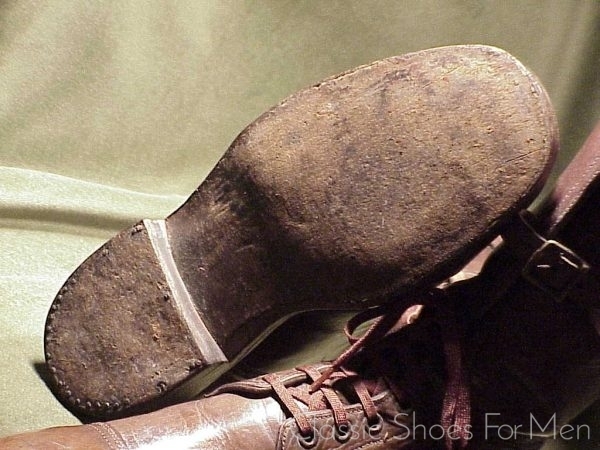 This is the boot favored by General George Patton and also seen in the famous photos of General Douglas MacArthur and worn by his staff officers at the liberation of the Philippines. 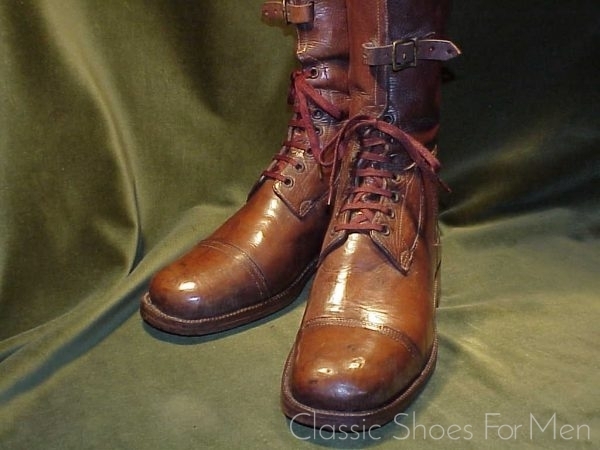 This model dates from a time when the military was still a dignified career for a gentleman and many more well-to-do officers, usually career officers of a certain rank, often had their boots custom-made by bespoke shoemakers dedicated to the military trade. Such boots were made to government regulation standards but, typically, made of finer leather and hand-sewn, rather than mass produced. 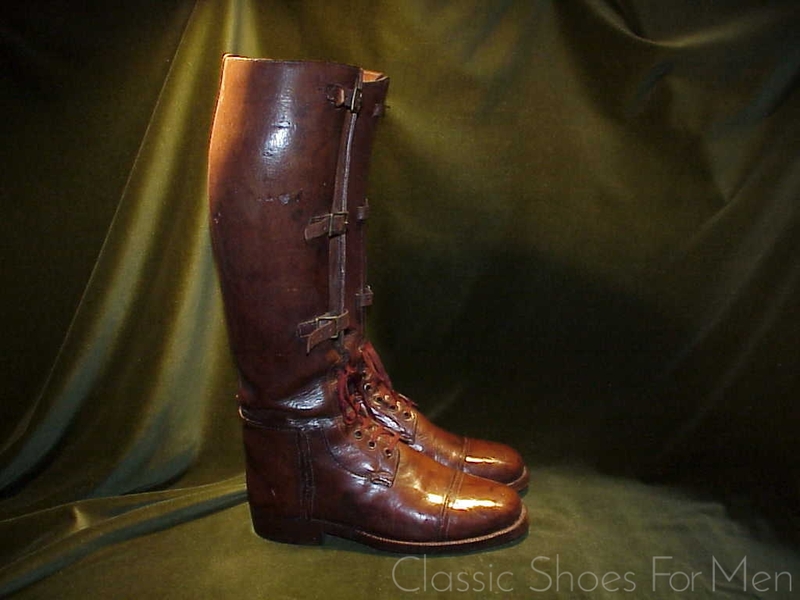 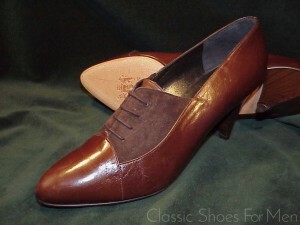 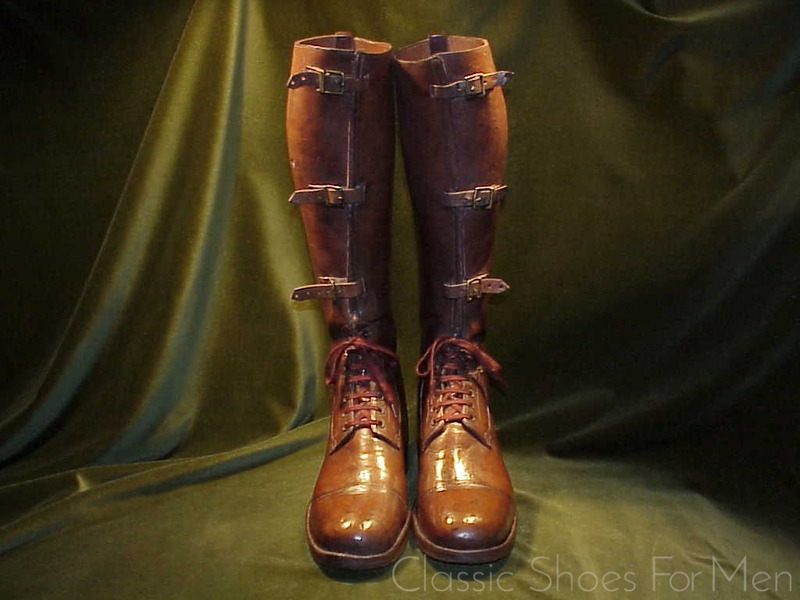 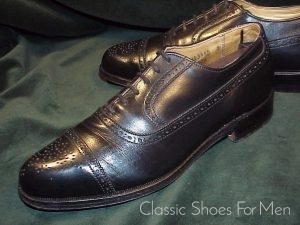 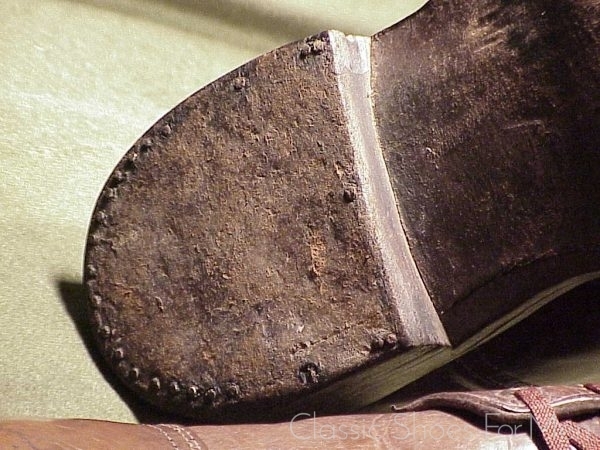 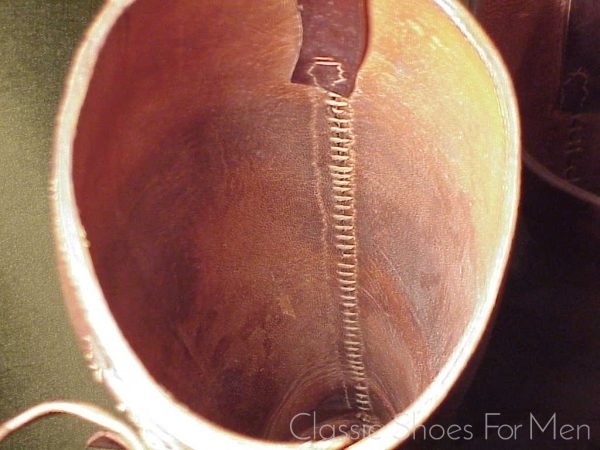 The pair shown here is such a pair, custom-made by a master shoemaker, the sole hand sewn into a closed channel, the heels hand-horseshoe nailed, and even the linings hand sewn. 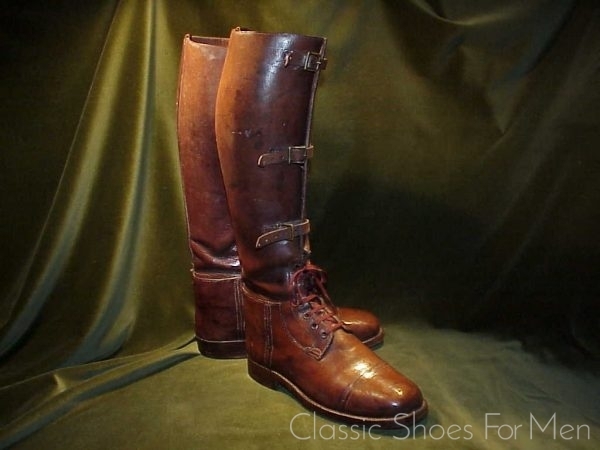 A rare and excellent example of a great historical boot, perhaps the handsomest and most desirable boot of the 20th century. 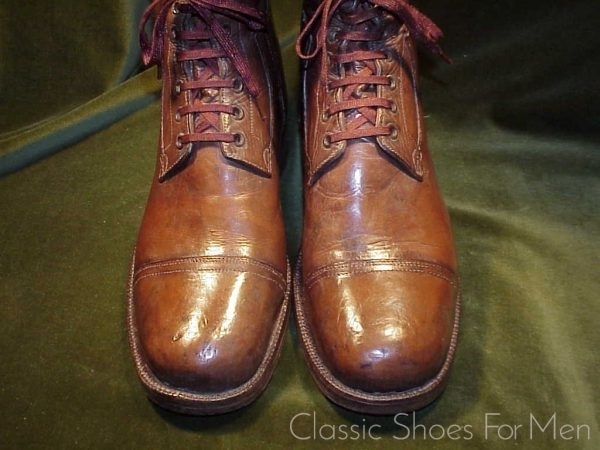 Size: Naturally unmarked as to size but by careful measurements using shoemaker’s lasts, it is seen to be a US 9E…..UK 8F……Continental 42E, for the medium to slightly wider foot. 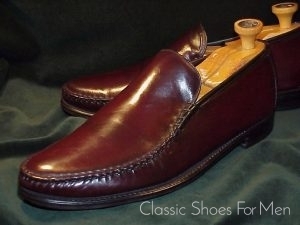 Condition: Exceptional for its age. Some small imperfections consistent with its history of use, nevertheless still entirely serviceable, the original soles and heels lightly worn and the boots are shown here unpolished. The leather is wonderfully firm, almost as if new; expect to have to break in, as if beginning with new boots.